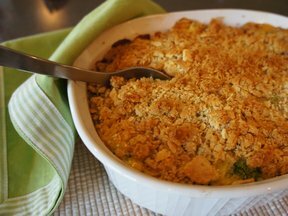 "Overall this broccoli recipe was pretty good. 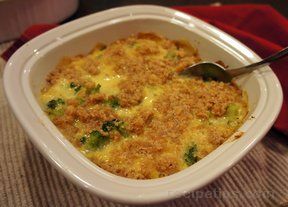 It was a little bit dry so next ... read full review"
Cook broccoli until stems are tender. 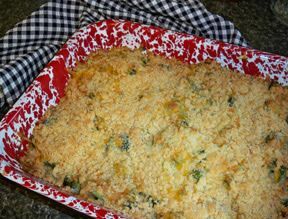 Place in ungreased casserole dish. Beat soup and milk and pour over broccoli. Sprinkle with cheese. Mix Bisquick and margarine until crumbly. Sprinkle over cheese. Bake at 400 degrees until crumbs are light brown (about 20 minutes). 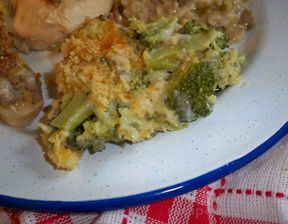 "Overall this broccoli recipe was pretty good. It was a little bit dry so next time I think I will cut back on the amount of Bisquick mix that I add to the top."